the proportion of people 65 years old and over to the total population. the ratio of the number of people under 15 and over 64 years to those 15–64 years of age. the ratio of the number of people aged 65 and over to those aged 15–64 years. the ratio of the number of people 0–14 to those 15–64 years of age. Lower Tax Revenues - retired people pay lower income tax. Therefore, the working age population has a greater responsibility to pay tax. Higher Government Spending - the government is committed to paying a state pension and related benefits such as a minimum income guarantee. There are also greater demands for indirect spending on retired people. People over 65 are more likely to require treatment by the NHS. Therefore, there are greater demands placed on government spending by a rise in the dependency ratio. Higher tax rates - a declining working population pay more taxes as a result of the pressures on government finances. This could create disincentives to work and reduce disposable income. The government may be forced to collect more revenue from indirect taxes or wealth taxes. Lower pension funds - because of the rising percentage of retired people, pension funds are having to stretch further than before. Many pension funds haven’t planned for the rapid rise in the dependency ratio. Combined with the credit crisis and low interest rates, the average income retired people can expect has fallen. Pressure to raise retirement age - because of the increased cost of pensions there is pressure to raise the retirement age in both the private sector and public sector. Tesco’s recently announced it will be the first private firm in the UK to raise its pension age to 67. This is an attempt to reign in the costs and meet the pension shortfall they currently have. Inequality -raising the state pension age will have different effects. Some people with a substantial private pension will not really be affected. They can still choose to retire when they want. However, others with no or minimal state pension will have to work longer. A higher dependency ratio is likely to reduce productivity growth. A growth in the non-productive population will diminish productive capacity and could lead to a lower economic growth. If the government fails to tackle issues relating from a higher dependency ratio, there could be increased pressures placed on government finances, leading to higher borrowing or higher taxes which also reduce economic growth. The retired population will make up a bigger share of the population. Therefore, they will have a bigger political voice. It may require different attitudes to how we care for old people, e.g. should someone’s house be mortgaged to pay for their health care? Should responsibility for looking after old people fall on the state or should private charity and family play a greater role? Describe the changes to Switzerland's population structure. Explain the factors responsible for this change. 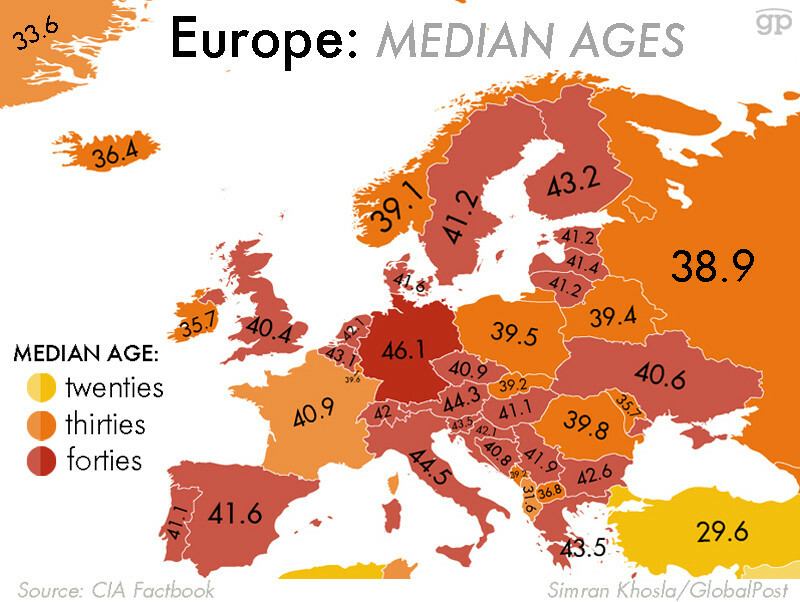 Describe the changes in old-age dependency ratio between 1990and 2010. Refer to data in your answer. A valid country should be chosen as an example [1 mark]. Award 1+1 marks for each valid economic impact, provided that it is developed by means of explanation or detail. issues of younger family members having to care for the elderly. Having successfully reduced birth rates for two decades, Iran is now trying to increase birth rates to avoid the problems of an ageing population.